If you’re looking for professional rain gutter installation, look no further. Committed to 100% satisfaction, Suffolk County Gutters makes cleaning gutters simple. Gutter repair is an extremely important, yet often overlooked, part of maintaining your home. Replacing gutters might be one of the best investments you can make! Please view our standard color reference chart. 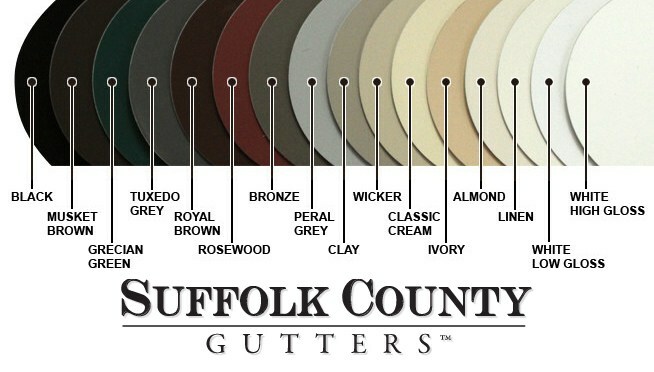 Don't see your home's gutter color? Don't worry we offer custom color measurement & precision matching!